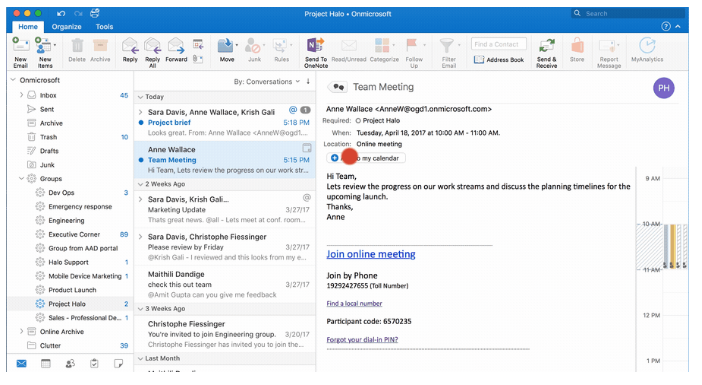 Today, Microsoft announced that it is beginning to roll out support for Groups in Outlook for Mac, iOS, and Android. The feature is already available to commercial Office 365 users on Windows and on the web. Groups support gives Outlook users an easy way to take actions on and keep up with group conversations. The feature makes it easier to do things like adding group events to your calendar, viewing a group list, and quickly checking out group details. Along with group support for Outlook on more platforms, Microsoft also unveiled a new batch of features rolling out to Groups in Outlook on Windows and the web. Give guest access — Last fall, we updated Outlook on the web to give you the ability to set up guest access for people outside your organization, set group classification as defined by Office 365 admins, and view usage guidelines. Now, these same capabilities are available in Outlook for Windows. Invite people to join — One of our most requested improvements was an easier way to invite multiple people to join a group. We’ve released the Invite to join feature to Outlook on the web, which lets you create invitation links and share them with others via email or other channels, giving them a quick way to join the group. Multi-delete conversations — Group owners can now multi-select conversations and delete them from the group conversations space in Outlook for Windows. Send email as a group — Office 365 admins can grant send-as and send-on-behalf-of permissions to members of a group using the Exchange admin center. Group members who have these permissions can then send emails as the group, or on behalf of the group, from Outlook for Windows and Outlook on the web. Microsoft is also working on a couple of future features for groups, including the ability to add appointments to a group calendar in Outlook for Windows. Microsoft says that the dedicated Outlook Groups app for iOS and Android will continue to be available while the company continues to improve Groups support in Outlook itself. 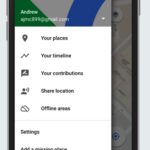 If you are already a commercial Office 365 user that is already in a group, you should see the feature appear on Mac, iOS, and Android over the coming weeks.